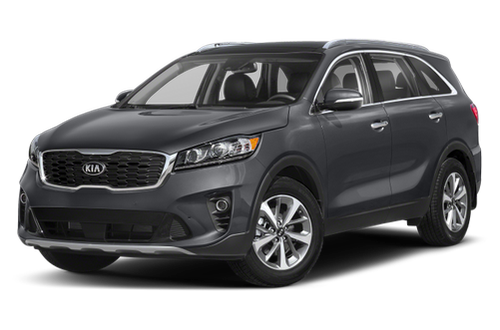 Have You Driven the 2019 Kia Sorento? Don't look at the badge and drive this! Sold my BMW X5 (Ugh, repair costs) and my son totaled our Honda Pilot so went out looking for a new SUV. Drove the Audi Q5, Pilot, HighLander, RDX and the RX350. All have their plus' and minuses. Audi wins on performance and infotainment while Kia came in second. Interior Audi, Lexus and Kia tied for #1. Reliability Toyota/Lexus #1 Kia #2. Value Kia #1 by far. Safety Kia #1. Features Kia tied for #1 with Honda. Obviously if you take all of these together along with the price, Kia #1. I bought the Sorento SX Touring and don't regret it in the least. A great SUV. Every technology available outside of Tesla and $5k to 20k less than the competition. WOW, just ignore the ugly logo and drive one! 57 out of 57 people found this review helpful. Did you? We buy a new car every 10 years & wanted all the new safety features which this has. The computer screens were very user friendly unlike the Honda and Toyota, which made a difference. The Nappa leather seats are softer than the standard leather. The driver's seat also has a seat extender if needed (may not be in all trims?) The pick up is fine and all the safety features are easy to set, understand and get accustomed to. The size is nice, it's smaller than the Highlander & Pilot (so it is easier to park) and bigger than the CRV & Rav 4. No CD player on the SXL trim so I ripped 75 of mine onto a 8 GB flash drive and use it all the time. The 10 year warranty gives piece of mind. Until the self driving cars come out, this will be one of our main modes of transportation. 24 out of 24 people found this review helpful. Did you? Goldilocks is pretty persnickety when it comes to finding the right-sized vehicle with which to transport her harp. The Kia Sorento is a perfect fit, with a flat load floor that is deep and wide enough to accommodate a full-size concert grand instrument with ease. All other considerations are secondary, but that said the Sorento SXL is loaded with features and is the most luxurious vehicle we've EVER owned. (And I thought nothing would ever compare with my '65 Sedan DeVille!) I can't say enough about the terracotta Nappa leather upholstery--in all three rows!--and ventilated front seats. What a HUGE difference that latter feature makes, especially in the summer here in Arizona. The only drawback is that there is no CD player, which means I must convert all my CDs to mp3 files, put 'em on thumb drives, and upload to the car. What a hassle, but otherwise the Harman Kardon sound system is awesome. This car is simply amazing! Tons of room and very comfortable. The leather is super soft and all the features are impressive. Wish the trunk area had more room when the 3rd row is being used but I knew that when I bought it. Overall this is definitely the best car I have owned. The warranty is terrific and will leave me worry free for many years to come. The design is gorgeous. I love the back up camera and the UVO and Apple car play services. The third row is very comfy and spacious. This car has every thing I need and want. AWD and four drive settings. The price compared to all that you get is an absolute steal. Just compare it to the other crossovers and smaller suv. You’d be silly to spend the extra cash for no reason at all. I researched several cars that I felt would meet my needs. As I compared the cats I found that the Kia met all of the things I wanted. Safety features I am so happy to have on my car are the warning that lets you know that a car is approaching you in your blind spot. Seat belts are adjustable for height- I’m short. My Kia looks and feels luxurious! This vehicle is the most reliable and economically efficient with beautiful design so that ican fit me soccer team but not look like a soccer minivan mom. Its the best for traveling long distance and city runs. My husband has a ford flex but he loves my car better. Thank you Kia for the 2019 Sorento. All My children's friend's and my family all think I'm the coolest mom this year... This was the best decision i made for 2019. This car drives smoothly and has a sleek interior. Impressed with all the bells and whistles. Never owned a foreign car before, but I am happy I bought a Kia.